Includes superior class hotels with private bath, breakfast and dinner daily, airport transfers in Europe and travel documents. Featuring: NUREMBERG, REGENSBURG, VIENNA & SALZBURG AUSTRIA, MUNICH, the ROYAL CASTLE NEUSCHWANSTEIN, and HEIDELBERG. DAY 1. Overnight flight to Frankfurt Germany. DAY 2. Arrive in Germany and transfer to NUREMBERG. Later we visit the Christmas Market, one of the oldest in Germany. Its beginnings reach back to the year 1143. 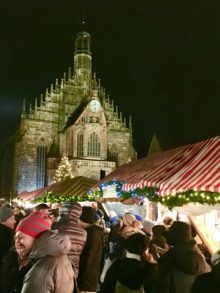 Sample the little Nuremburger brats and the Lebkuchen, walk the Old Town Wall and enjoy the huge Christmas Market. Overnight Nuremberg. DAY 3. REGENSBURG. This city on the Danube River has the best preserved Medieval city in Germany. The Market is known for its cinnamon stars, roasted chestnuts, and fine ceramics. Walk the Stone Bridge, see the Old Town Hall. 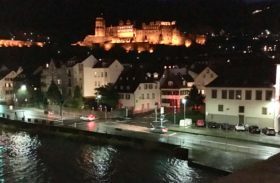 Overnight Regensburg. Day 4 : VIENNA. Once the Imperial Habsburg Capital, it is now rated as the most livable large city in the world. We’ll see the State Opera House, Kaertner Street, St Stephans Cathedral and the incredible City Hall. Visit the Hapsburg Imperial Palace, if you have time, but spend some time at the lively Christmas Market in front of the huge City Hall. Overnight Vienna. Day 5. VIENNA Today we’ll explore the Ring Strasse with the Austrian Parliament, the University of Vienna, The Natural History Museum, the Art History Museum. This afternoon split your time between one of these museums and the Market. Overnight Vienna. Day 6. SALZBURG Into the Alps this morning to visit the city of Mozart and the Salzburg Fortress. 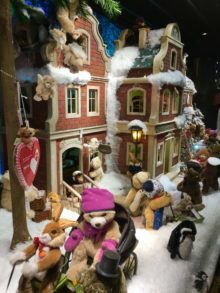 One of Europe’s loveliest towns, it is perfect for strolling, visiting the 4 different Christmas Mark ets and for munching on the famous chocolate/hazelnut Kugeln and tortes. Included is an exciting SOUND OF MUSIC TOUR that will show you all of the famous sites of the film. Overnight Salzburg. Day 7. MUNICH. We visit the Hofbrau Haus, Marienplatz with the stupendous City Hall and of course the wonderful 7 Christmas Markets. Famous throughout the world, Munich’s first Christmas market has been held on Marienplatz (Marien Square) since the 14th century. Overnight Munich. Day 8. MUNICH & the ROYAL CASTLES. 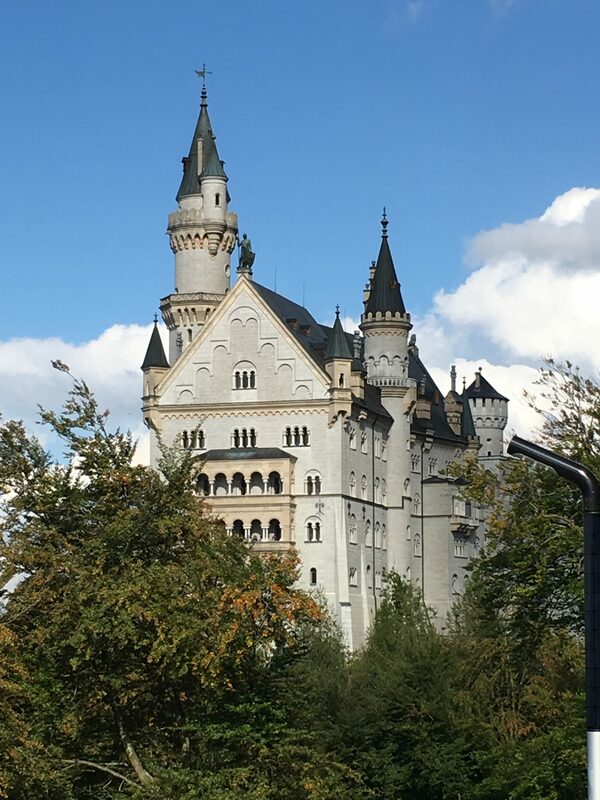 After a short stop in Oberammergau, where the world famous Passion Play takes place every ten years, we go to iconic NEUSCHWANSTEIN CASTLE. 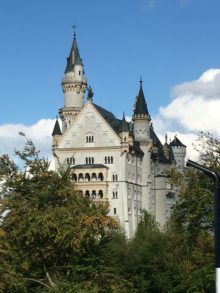 This is the castle after which Disney modeled his theme park entrances and is the symbol of Germany. Unforgettable. Overnight Munich. Day 9. HEIDELBERG. Take a funicular ride from Heidelberg Old Town up to the Castle from where you have a beautiful view over the city and the Neckar River. 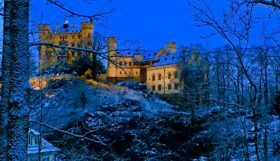 Heidelberg, with its 700 year old University, is a lively city with the Old Bridge and Battlement and the Christmas Market which extends over five squares: Kornmarkt, Marktplatz, Universitätsplatz, Anatomiegarten and Bismarckplatz. Overnight Heidelberg. Day 10. Heidelberg to Frankfurt Airport for the return flight. LAND PRICE per person sharing a room: Late deposit $3699, Early deposit $3399, MRT Returnee $3199 Transatlantic Airfare and taxes extra. Payments: $1500 per person deposit with REGISTRATION FORM on the website. Make check payable and send to ETCS, Inc, 922 Oak Grove Road, Jackson MI 49203. Balance due 90 days prior to departure. See TERMS & CONDITIONS on the website. Call Mike at 517-782-6847, send an email to mike@mikerosstravel.com or visit my site on the web at www.mikerosstravel.com.